Yet another indie title will arrive on the Wii U and 3DS eShops soon, with developer Arcane Four Studios announcing their side-scrolling 2D platform game, Rynn’s Adventure: Trouble in the Enchanted Forest, will be released this fall. Players take control of a fox named Rynn as they attempt to take back the Enchanted Forest from an army of reptiles. Rynn will have to use her platforming and magic abilities to defeat dangerous enemies, overcome various obstacles, and confront challenging bosses to save the King and Queen of the forest. The game will also allow players to progress through levels in any order they choose, and unlock a number of powerups along the way. Take a look at the teaser trailer below and let us know if you would consider picking up Rynn’s Adventure: Trouble in the Enchanted Forest when it arrives on the Wii U and 3DS this fall. The animation is very stiff, and the graphics are pretty bland at this point, but the gameplay looks decent, so we'll see. Sly and William looks much better on both itterations. And that's coming from a fox fan here. Hope they add more frames to the fox movesets, at least; it's all very rigid. Ambient and gameplay looks nice, though. It looks solid already, but MAN, this game feels sooooo close to being something even more if they can manage to add a bit more polish to it (as a whole). I'll keep it on my radar. I guess I've become a bit burnt-out by sidescrollers lately, but this still looks interesting enough to keep an eye on. Looks like it still has a long way to go. 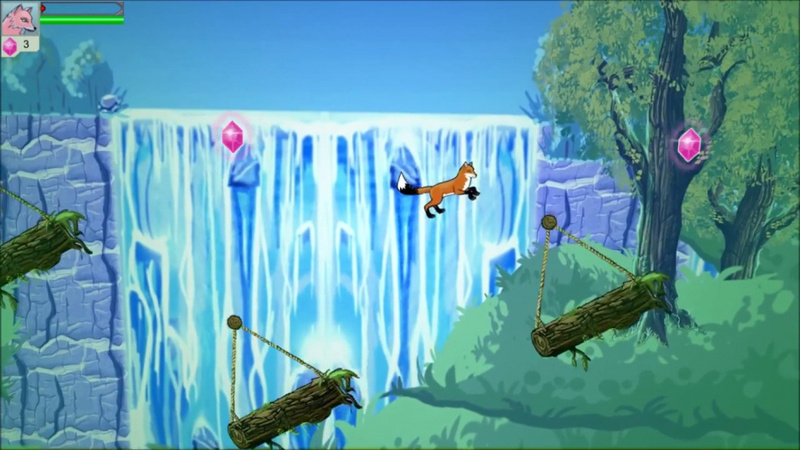 Backgrounds look great but the animation on the fox is stiff. I hope they're able to improve that by the fall. It looks like It could be a great platformer and I can't wait to play it.